You want her, but you don’t think you’re good enough. Well, you’re probably right. But there is a solution! It’s not quick. But it’s doable, and it will work. “Why am I not good enough?” you ask? 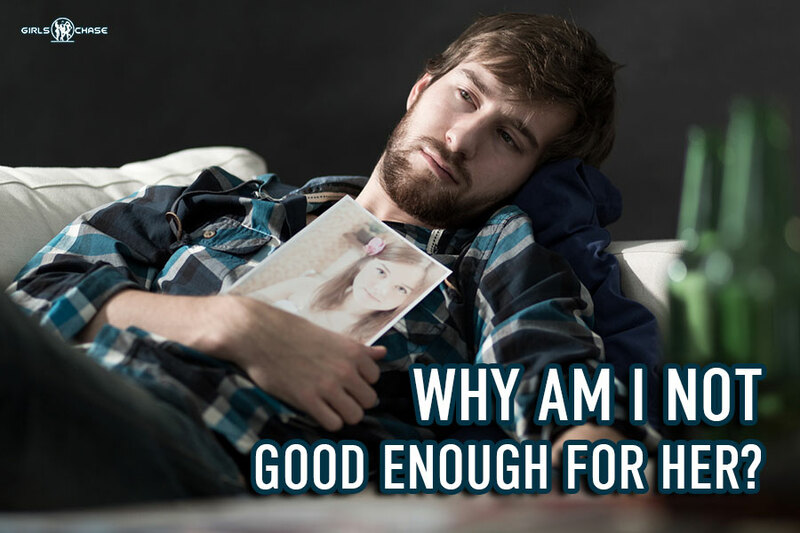 You aren’t good enough, that’s for sure. And the “why” part is easy. Not sure if you expected that answer. Welcome to Girls Chase. I’m not here to tell you that you’re good enough. That you’re fine the way you are. That would be a lie. It might make you feel good for a few seconds, even a few minutes. Tomorrow, you might remember it. By the end of the week, you’ll have forgotten it. You’ll scroll through Instagram and see some gorgeous girl pop up on your feed. Maybe you know her. Maybe you don’t. 4. Why Am I Not Good Enough for Any Girl? 5. Why Am I Not Good Enough... Even When I’m Good Enough? What is true is that she’s not your girl. You’ve never kissed her. You’ve never made her wet. You’ve never been inside her. Hell, you’ve probably never even been on her mind for longer than the brief moment your image passed through her focus. If reading that pisses you off, stop reading now.